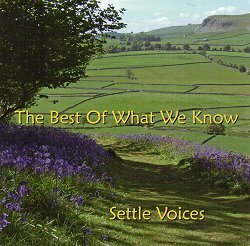 Settle Voices is the local Community Choir in the market town of Settle in the Yorkshire Dales. If you like singing, why not come along and join us? Anyone who enjoys singing is welcome to come and sing with us. You do not need to be able to read music. We do not have auditions. Just come along to our friendly group. At every choir session after a gentle warm up we sing two or three different songs. It is amazing how quickly we seem to be able to put together a very tuneful round or song in several parts! 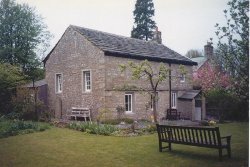 We meet on Monday afternoons during school term-time (1pm - 3pm) at the Friends' Meeting House in Settle. Sessions are relaxed, informal and enjoyable. Our Musical Director is Janet Russell, who is a talented performer, songwriter and good at getting the best out of us! If you are interested in coming along to see if you enjoy what we do, please get in touch with us through the Contact Page on this website, or just come along at 1pm on a Monday. Living in such a beautiful area, we enjoy singing about local history and landscape. We recently commissioned four new songs specially for the choir, which will complement the other locally written songs in our repertoire. We sing a wide range of music, from old folk songs, to Maori and African music and Jazz. We perform publicly on a few occasions each year, often in aid of local charities. Every year at Christmas we practise our carols, old and new, and perform in local venues. During the school summer holidays we hold day workshops, which are open to all and give us an opportunity to work with other choir leaders. 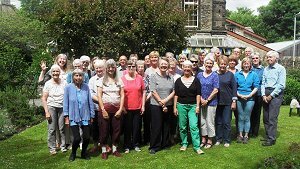 We are grateful to the Yorkshire Dales Millenium Trust for a Grassroots Grant of over £3000 to help fund some of our activities. Grassroots Grant funded four songs about the local area commissioned from local songwriters. We have enjoyed rehearsing these songs written especially for us and have recorded a CD, which is now available - CLICK HERE to listen to samples of our music from the CD. If you would like a copy, price £7 plus £2 P&P please contact us via the Contact Form on the Contact page..